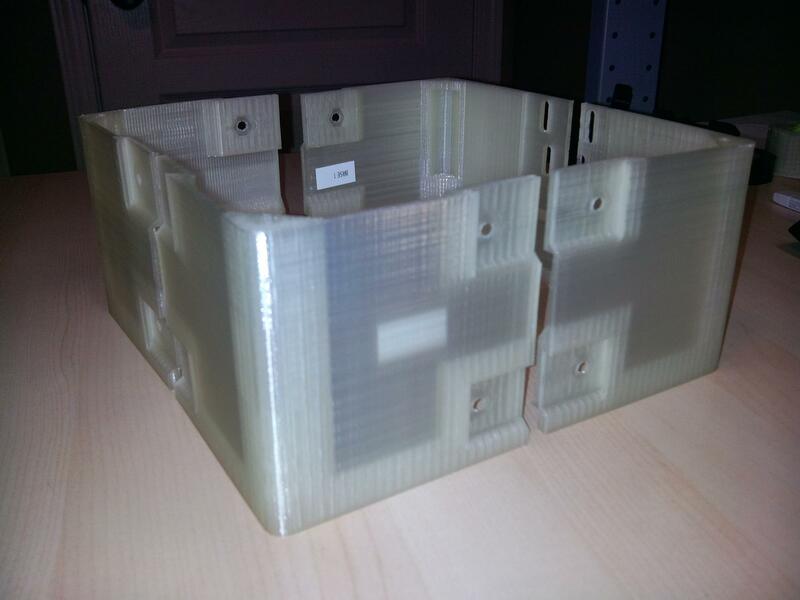 Just recently I have been very interested in completing a printed case Tantillus, well more so recently with having a machine capable of actually printing all the parts. After seeing the printed case in person I have been ever more intrigued to do so. Now I figure that I should start a thread on my progress as the build goes on. 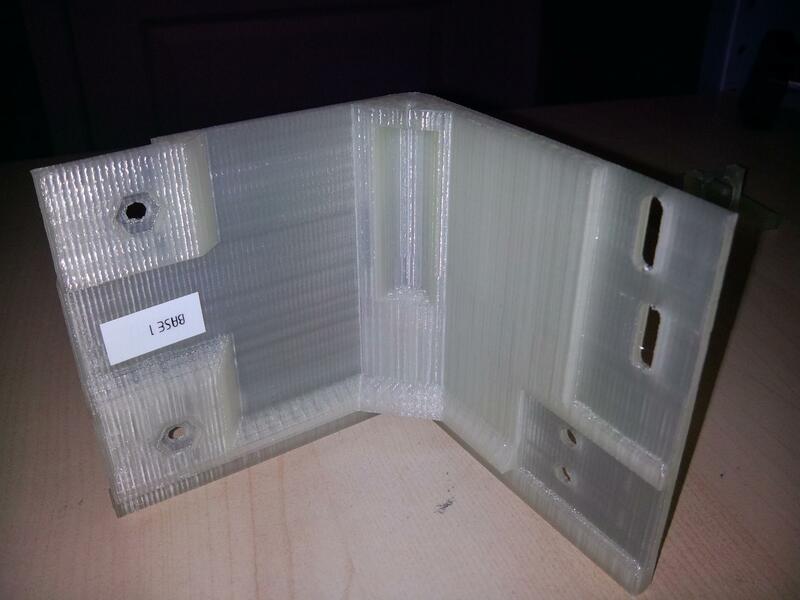 Any tips on doing the printed case would be much appreciated as well. Some people have reported that turning on support for the upper four pieces makes the bearing holes turn out better as well as a few other crazy overhangs in those parts. 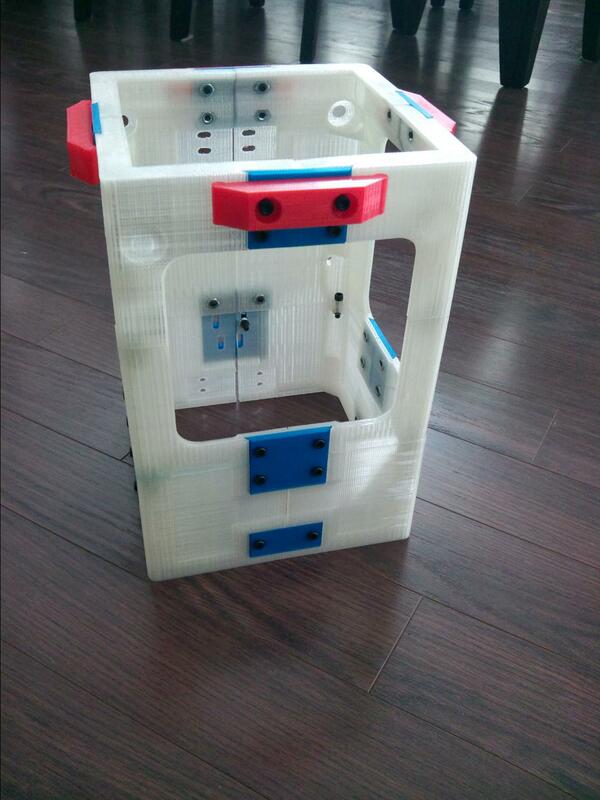 Those parts did not take you very long to print, you should be done the entire thing by the end of the weekend. 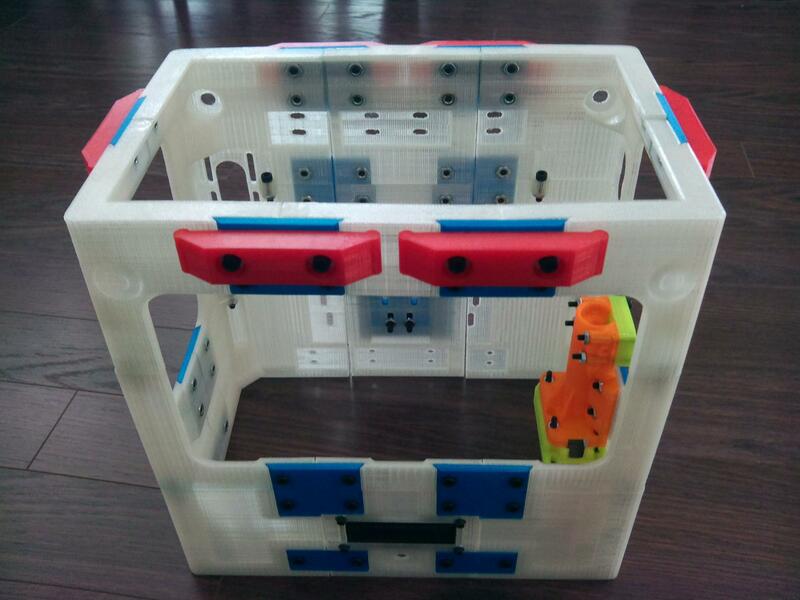 Seeing your white printed parts makes me want to build one, too. That will look super cool with some lights inside! 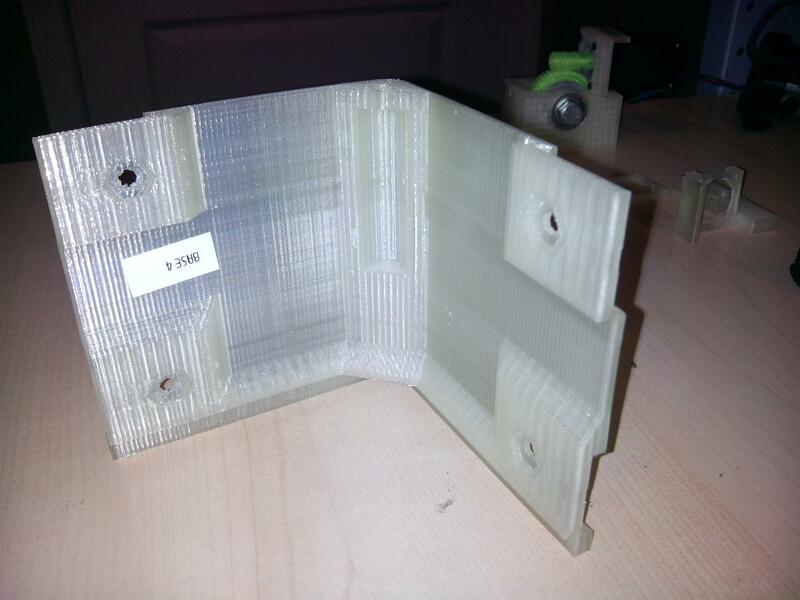 I've printed some replacement parts for my tantillus with "normal" support from Sublime's kisslicer settings and the support does help a lot even with screw holes and it's really easy to remove. Hmm, I will take that into account. 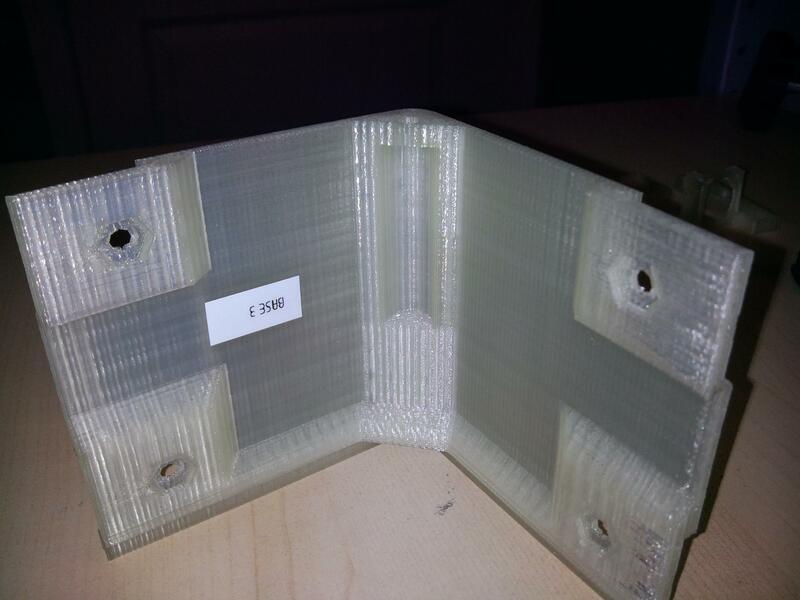 I've got my layer height set to 184 micron with the tantillus calculator and I have noticed an improvement in prints already. The plastic I am using is the clear PLA from Tinkerine Studio, and I really love how it prints and how light shines through it. Going to add a lot of lighting effects. Looking great, I love the printed case and think I may have to give it a shot myself someday. 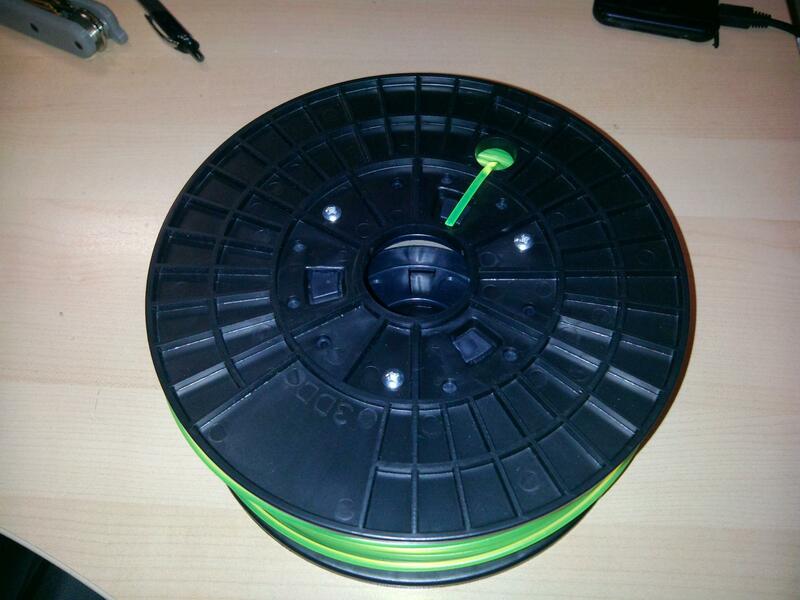 Do you have a picture of the spool from tinkerine? 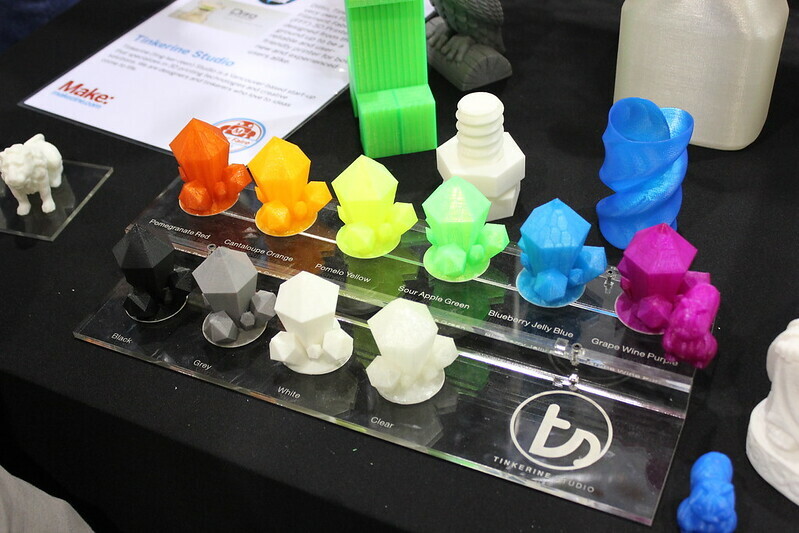 I saw them at makerfair san mateo and they were cool guys and I loved the pla colors. 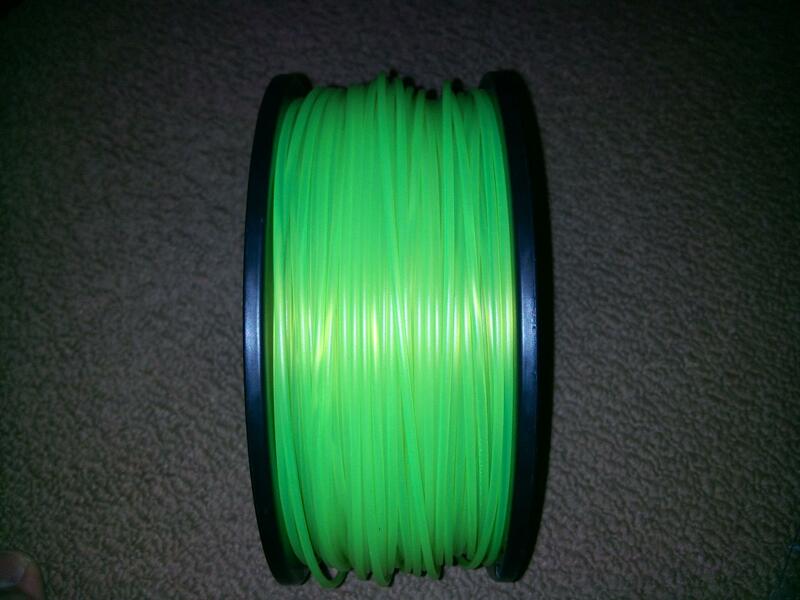 I am trying to figure out if the pla is the same as that sold by justpla as the colors seem pretty identical but the price is cheaper. Pic I took of the awesome color selection, they look even better in person. After work today I can get you some pictures of the spools. 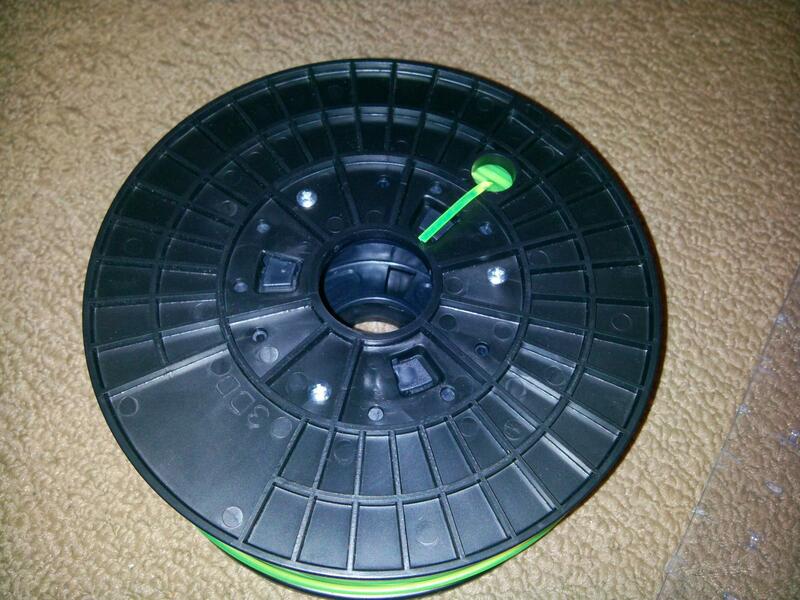 Here are the photos of the spools. 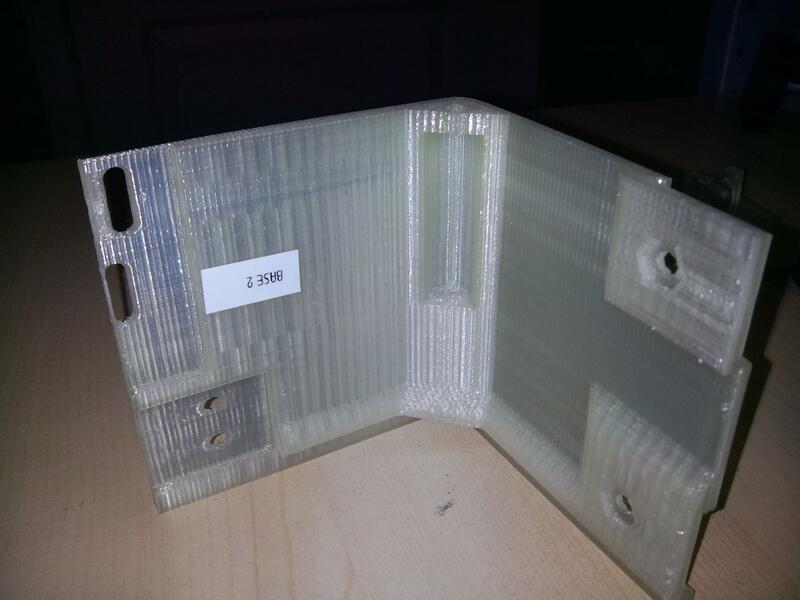 That clear PLA makes me want to reprint mine. As mentioned, support helps on the top portions. 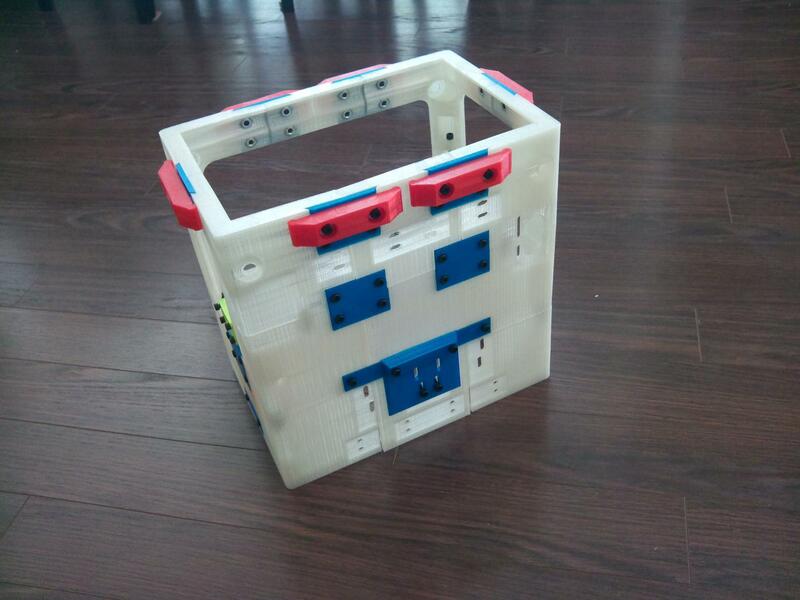 Use generous lift as the bearing edges can still catch even with the support, and the upper arches of the motor cutouts can be troublesome too. Warping can be a problem on the long thin spans, so use brim if you can or extreme measures like heated blue tape if you can't. I recently finished the case and I really like the way it turned out. I didn't have any issues with warping as Sublime let me try out a bed coating that he personally uses and I must say that it helped a lot. 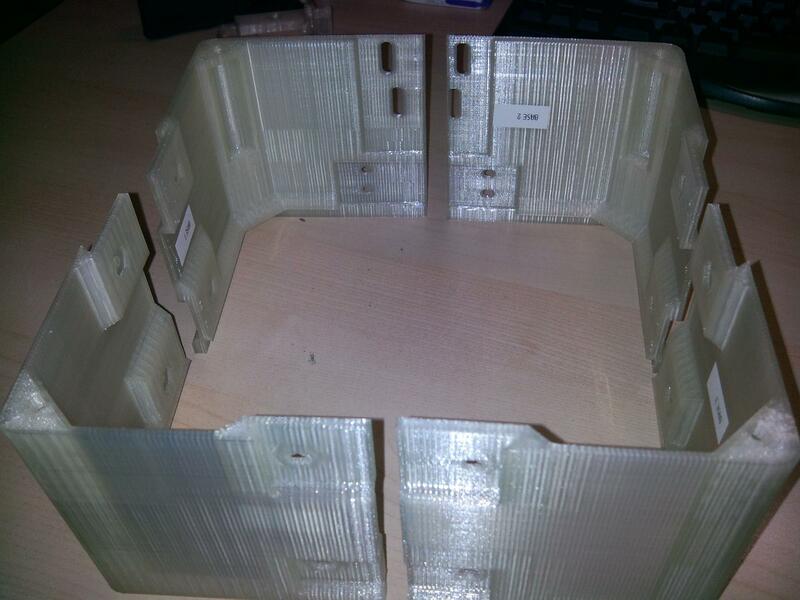 I had to turn on supports for the upper pieces as the bearing holes would've proved annoying without them. 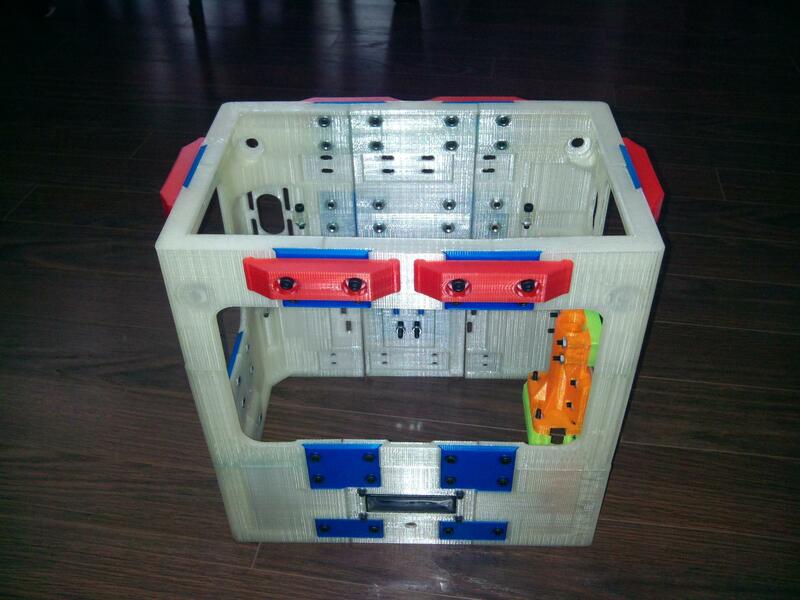 Attached I have the pictures of my printed case. Edited 1 time(s). Last edit at 06/13/2013 09:52PM by kburr. Recently Sublime gave me an option of trying out some files for widening the case. Here are some pictures of it. Also going to be trying the height extensions... Tantillus XL Wide anyone? I know what you mean ; ) I'm also working on a larger printer, but life keeps slowing things down. 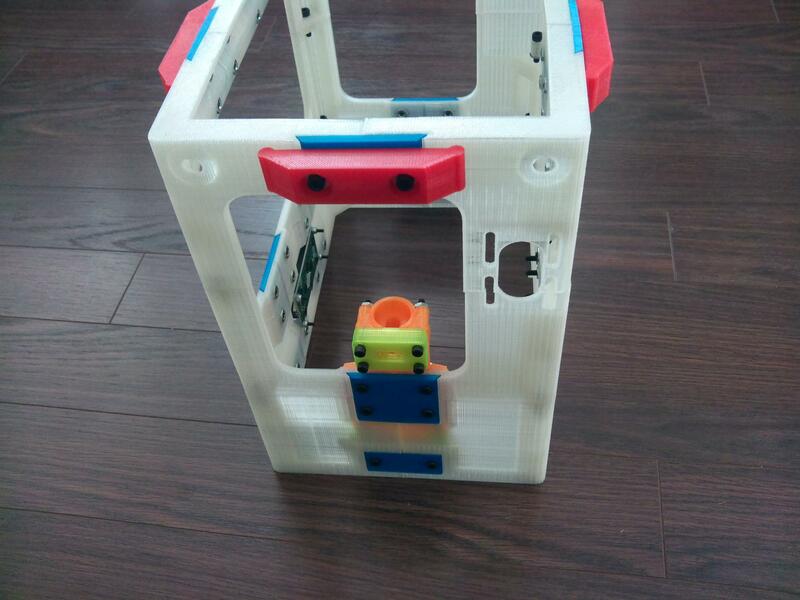 Are you moving the rods on the z axis further apart to compensate for the wider print area? Haven't really looked to far into that yet. Going to most likely try without extra spacing, then if need be, I will have to relocate the rods. Thanks for that oversight though, really didn't cross my mind at the time. Looks really good. It makes me want to print them and make my machine even bigger. I am still not to happy with the way the bottom back is built. I will try and figure out a better way. 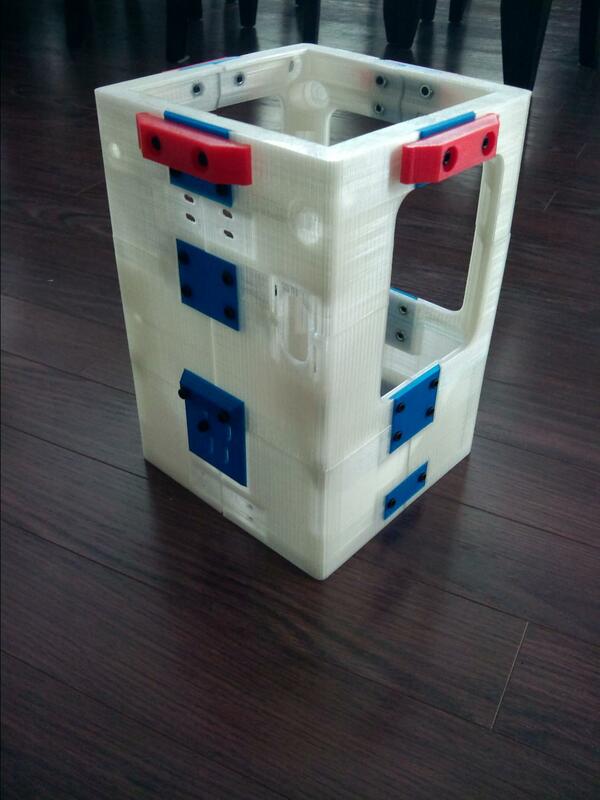 Since the printed case is not flat inside I decided to make the normal Z axis fit back in the middle and optionally use the original mount locations to make them further apart if needed. To reduce the possibility of it rocking I planned to make brace that goes from the bottom of the Z arms out on a diagonal to the lower bed corners. This should then triangulate both side while keeping the center section floating for the lead screw Z axis. Yea, that lower middle really isn't well supported, but I figured that the acrylic panel I place underneath would fix most of that slop. Has anyone else done a wide case? 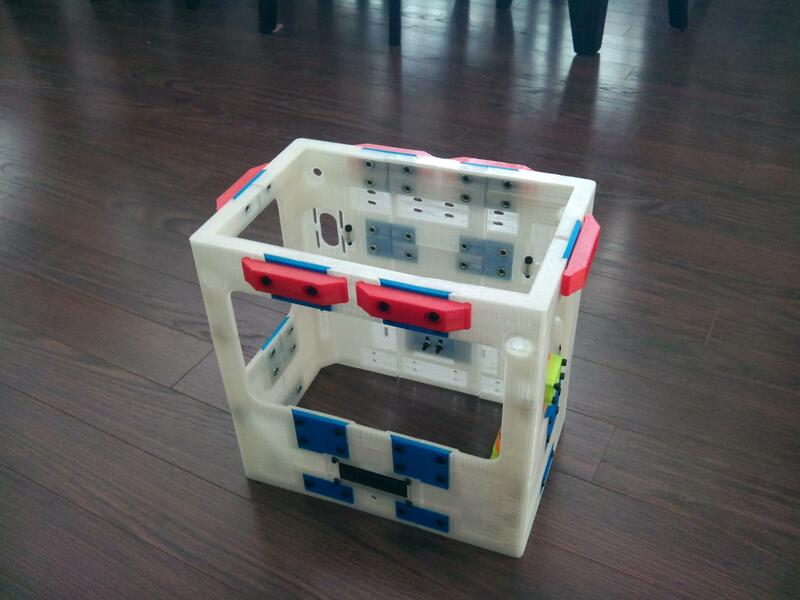 I see the parts for a taller one but no files for the wide case. I have them somewhere. I'll dig them up if I can this weekend.